Raúl, Marcos Senna, and the New York Cosmos defeated the Fort Lauderdale Strikers, 2-1, in The Championship Semifinals on Saturday before 5,061 at MCU Park and will host next Sunday’s NASL title game against either Ottawa Fury FC or Minnesota United. It was only fitting that Raúl, the Spanish star and veteran of Real Madrid and Spain’s national team who along with Senna will retire after the NASL season, should score the eventual game-winner on a patented left-footed shot that kissed off the post and into the back of the net. “We had a lot of chances before I scored,” Raúl said. “I scored one goal more and this team is playing for the final. New York spotted visiting Fort Lauderdale a goal, by PC, 16 minutes into the game before Gastón Cellerino tied the score eight minutes before halftime. Next weekend, The Championship Final at Shuart Stadium in Hempstead, N.Y., will be the final professional match for both Raúl and Senna. 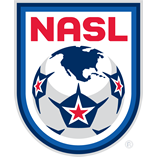 Fort Lauderdale took a 1-0 lead in the 16th minute. Cosmos defender Hunter Freeman failed to control the ball on the right side near midfield and Walter Ramírez led a counterattack the other way. He passed to James Marcelin in the center of the field, who then rolled a soft pass to the unmarked PC on the right. PC, who missed the last three Strikers game because of an injury, sent a shot hard and low that eluded goalkeeper Jimmy Maurer and ended up inside the near post. PC, a defender who scored six goals in the regular season but has been pushed forward into the midfield, nearly made it 2-0 when his left-footed shot bounced in front of Maurer and was pushed wide at the last second. 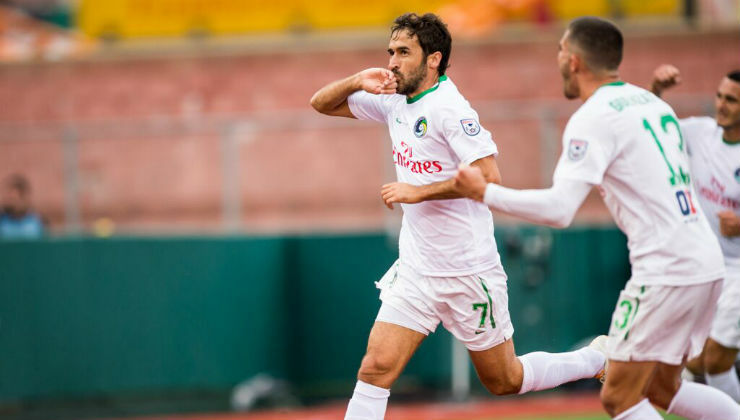 After the close call, the Cosmos, who have not lost to the Strikers in the NASL’s Modern Era (6-2-0), came alive. A free kick on the left about 30 yards out was put on goal by Marcos Senna as Strikers goalkeeper David Meves could only punch it, but not clear. Cellerino was in the right place at the right time as the ball hit his shin and rolled over the goal line to knot the score in the 37th minute. The Cosmos dominated play, and the ball, from the opening whistle of the second half and were rewarded in the 61st minute when Raúl scored the go-ahead goal. Danny Szetela, a New Jersey native, started the play when he found Raúl between a pair of Fort Lauderdale defenders. Raúl deftly trapped the ball with his right foot then blasted a left-footed shot past Meves in goal, off the post and in for a 2-1 lead. “It’s a dream to finish my career in one final with the New York Cosmos,” Raúl said.